K. Yasutomi, Y. Sadanaga, T. Takasawa, S. Itoh, S. Kawahito,"Dark Current Characterization of CMOS Global Shutter Pixels using Pinned Storage Diodes," Proc. 2011 Int. Image Sensor Workshop(IISW), pp.185-188, Hakodate, Jun. 2011. 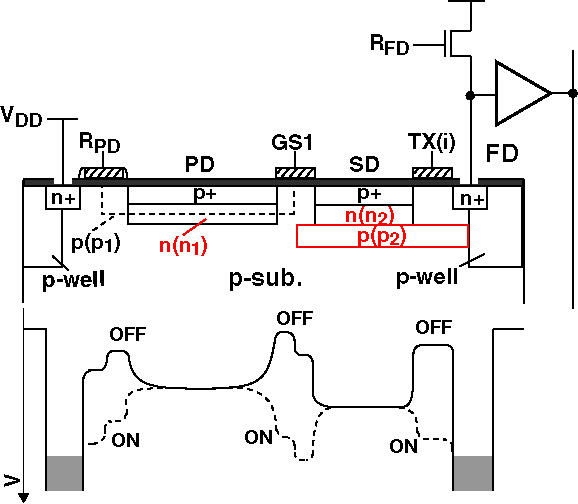 K. Yasutomi, S. Itoh, S. Kawahito,"A Two-Stage Charge Transfer Active Pixel CMOS Image Sensor with Low-Noise Global Shuttering and a Dual Shuttering Mode," IEEE Trans. Electron Devices, Vol.58, No.3, pp.740-747, Mar.2011. 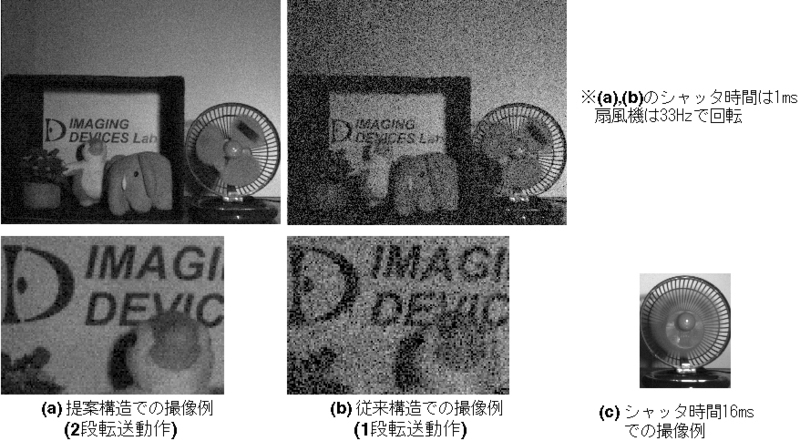 K. Yasutomi, S. Itoh, S. Kawahito,"A 2.7e- temporal noise 99.7% shutter efficiency 92dB dynamic range CMOS image sensor with dual global shutter pixels," IEEE Int. Solid-State Circuits Conf. (ISSCC) 2010, Dig. Tech. Papers, pp398-399, San Francisco, Feb.2010. 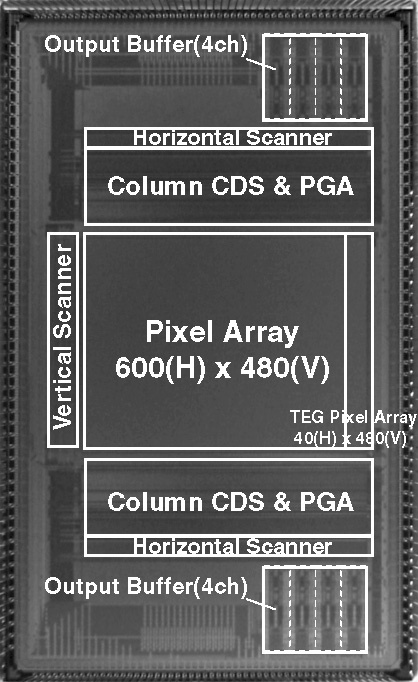 K. Yasutomi, T. Tamura, M. Furuta, S. Itoh, S. Kawahito," A high-speed CMOS image sensor with global electronic shutter pixels using pinned diode," IEEJ Trans. on Sensors and Micromachines, vol.129, no.10, pp.321-327,Oct.2009.